When it comes to undersea paths in Vietnam (Việt Nam), you may think about that in Diep Son (Điệp Sơn) in Khanh Hoa (Khánh Hoà) province; however, Diep Son is not the single island having an undersea path in Vietnam. There are other places having such type of road like Diep Son. Take a look below! Being a sequence of 3 small islands, Diep Son is located in Khanh Hoa province. Journey to explore this island will start from Van Gia (Vân Gia) Town. The beautiful Diep Son Island will gradually appear cutting such a clear display on the horizon after approximately one hour at sea. If you choose to travel to Diep Son by ships, you could step off the train and begin your trip to conquer the undersea road which is interesting and unique with about 700 meters in length, connecting the islands of the large Diep Son Island. The path is winding, about 1 meter in width and deep blue sea underwater is less than half of a meter. You can walk on the paths of the sea with an excited, nervous feeling. A little scare will appear when you step between the mighty sea. While doing so, you can watch the little fish swimming around your sides and see the fish jumping out of the water. The idea time to visit Diep Son is from December to July each year. Having approximately 80 households, Diep Son residents live majorly by fishing. Residents here count on the generators and each family just has 3 hours of using electricity every day. Another place having undersea road is Hon Ba belonged to Vung Tau. This is a small island of 5,000 m2 in estimation. 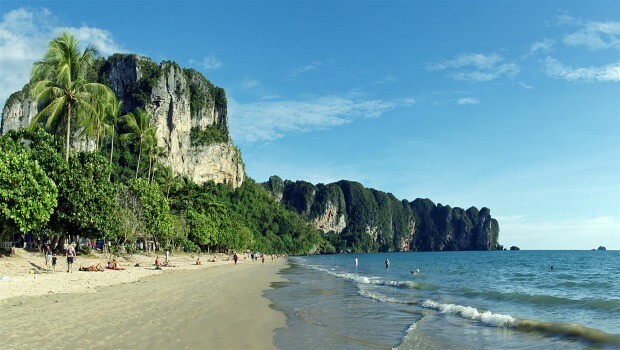 Hon Ba is situated in the waters of Sau Beach (Bãi Sau), a 200-meter cape Nghin performer. For people living in Ba Ria – Vung Tau (Bà Rịa – Vũng Tàu) and neighborhood provinces like Dong Nai (Đồng Nai), Ho Chi Minh (Hồ Chí Minh) city, Tay Ninh (Tây Ninh), Can Tho (Cần Thơ), Vinh Long, (Vĩnh Long), Tra Vinh (Trà Vinh), … Hon Ba temple is a popular address for their spiritual worship. This place is always crowded with tourists. If seen from a distance, Hon Ba is located in the middle of the sea mixed with the green color of the trees and red of tile roofs. Scenic vistas make tourists coming here always stop for a while to watch from afar. Local people offer boat service transferring tourists to Hon Ba with the price of about 500,000 per round. Before departing, the boat owners often advise tourists that though the way looks so close, there are a lot of rocks underneath so they have to go the other farther way to access the island. The number of tourists chooses this means is not much, mostly those who live in the island or people having unexpected duty. If you are lucky enough to visit this island on the low-tide day, you can see the jagged stone path leading to the island. At low tide, there are always many people, including both locals and tourists, looking for ways to go on that road to the island. Typically, water just withdraws on 14, 16 of lunar months, in the late afternoon. Many local people find a livelihood thanks to this rocky path. They catch fresh oysters, called milk oyster. According to a local woman, if lucky, she can earn 1-2 kg milk oysters in each times of low-tide, but the number seems to be more and more limited over time. In addition, people also catch snails, crabs… on the rocks or lying among the rocks. After going through this special stone path, tourists will reach Hon Ba with an area of 5,000 m2. There is the famous Ba Temple (Miếu Bà) built in 1881, which used to be damaged by gun by a French officer in 1939. In 1971, this temple was rebuilt, standing above the ground of 4 meters. Inside, there are small but ordered churches which are always full of steaming. Nhat Tu Son (Nhất Tự Sơn) is one of the most beautiful islands of Xuan Dai Bay (Vịnh Xuân Đài), in the area of Xuan Tho 1 (Xuân Thọ 1) commune, Song Cau (Sông Cầu) town. Calculated according to the National Highway 1A, this island is located north of the island of Phu Yen province, about 50 km away from the center of Tuy Hoa (Tuy Hoà) city. 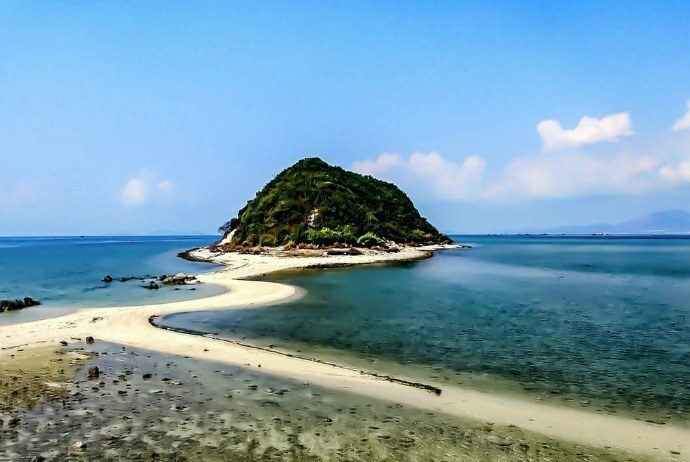 According to the local fishermen, the reason why Nhat Tu Son (Nhất Tự Sơn)was called as its name stems from the lying shape of the island like the word “Nhat” (Nhất) (First) in Chinese. With an area of approximately 6 hectares, Nhat Tu Son is also regarded as a screen protecting two fishing villages My Hai (Mỹ Hải) and My Thanh (Mỹ Thành) from wind. The unique feature about Nhat Tu Son (Nhất Tự Sơn) is the way across the sea to the island, submerges under water and just be revealed when the tide recedes, creating a spectacular and stimulating landscape for tourists. The island is only about 300 m away from the mainland, so you can fully wade or walk on a sandbar off the island, depending on the receding time in a day. From 1st to 15th of lunar month, the water will withdraw in the afternoon, and from the 15th to the end of the lunar month, the water will withdraw in the morning. The highest level of rising water is just waist-adult only, so you absolutely can rest assured while wading through here. Local people here still view Nhat Tu Son (Nhất Tự Sơn) as a god defending the estuary, so they are very conscious of maintaining and protecting the island. As a legend, there was a temple here, and today, there remains a grave located in halfway of the island, which is said of a Buddhist monk. Coming to Nhat Tu Son (Nhất Tự Sơn), visitors will be immersed in the wild, with the primeval forest covering the whole island, rare vegetation, along with the steep cliffs and numerous caves formed by the erosion of ocean waves. Looking the whole vista from Nhat Tu Son (Nhất Tự Sơn) Island, there are boats surrounding and the lobster cages the island. Like Song Cau (Sông Cầu) Town and adjacent Cu Mong (Cù Mông) Lagoon, this place is also one of the most famous seafood bowls of the region. The future orientation of Nhat Tu Son (Nhất Tự Sơn) is a key attraction of Phu Yen (Phú Yên) province. Resorts have started appearing here, with thatched huts and wooden corridor outstretching the sea. It becomes a stopping point for tourists to rest after crossing the sea to visit the island. 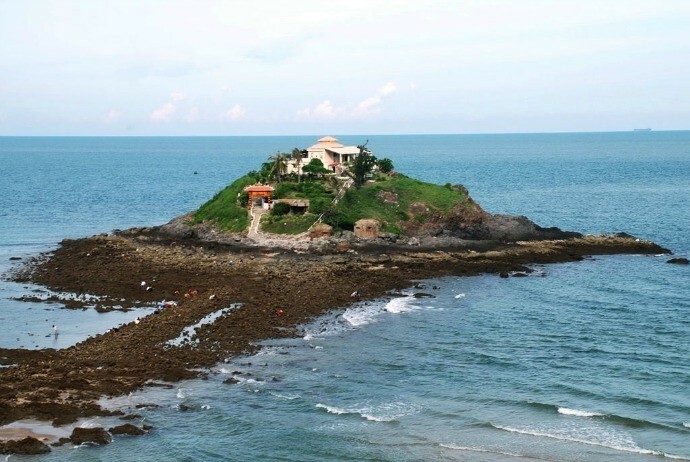 This island is also called as “Diep Son (Điệp Sơn) of Phu Yen (Phú Yên)”. 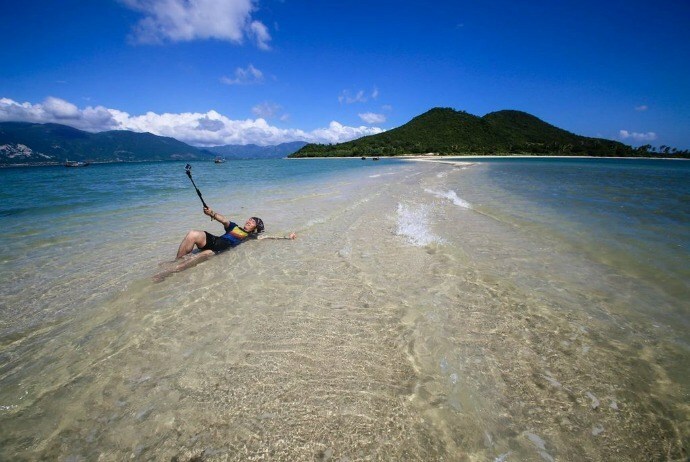 Despite of not being able to compare with the beauty of Diep Son (Điệp Sơn) island in Khanh Hoa (Khánh Hoà) province, the pristine of the island which has not been impacted much, the gentle personality of local people and the delicious, plus with the advantage of a bowl of cheap and delicious seafood here make this island a not-to-be-missed destination for many travelers.